The Penguin Plunge does not just happen with our incredibly hard working committee but also with support from many generous people in our community who share not only financially but with their talents as well. 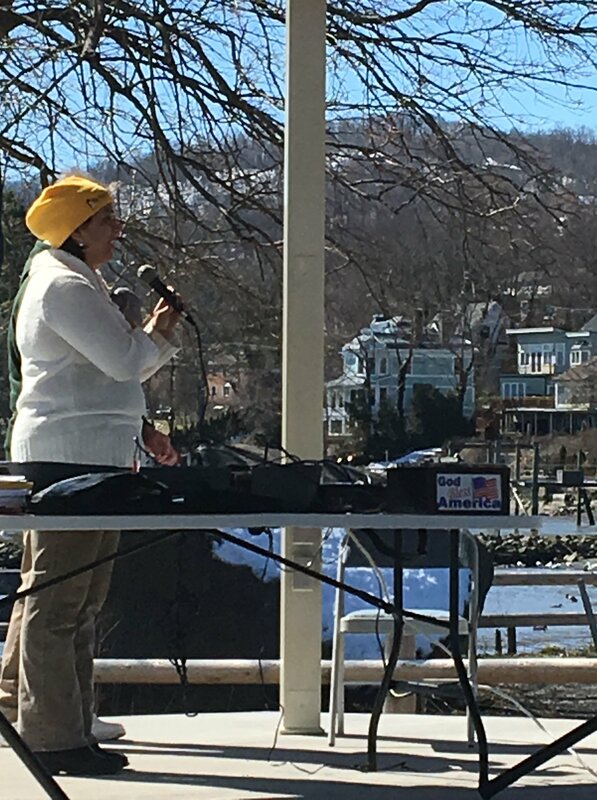 One such person is Marta Rodriguez, who graces the Penguin Plunge with her rendition of the Star Spangled Banner. A difficult song to sing under any circumstances, Marta sings our beautiful anthem with power and feeling in the bitter cold year after year. We truly appreciate her commitment to do so for us as we honor the country that we are so proud to belong to. For Marta, however, such dedication to helping others is just part of her everyday experience. Since retiring from the Spring Valley Police Department, Marta has embraced her volunteering full time, while still managing to work for the New York Blood Center. To only name a few, Marta is active in the Spring Valley Rotary (more on that later, ) St. Anthony's Parish, and the United Women of Rockland. She also supports countless other charities by her contributions and participation. It frankly wouldn't be a fundraiser without Marta playing some part in it. In her spare time, she also does karaoke, and to no one's surprise, has won prizes in these events. One of the biggest things Marta has thrown herself into is the S.T.E.P.S. into Poverty (http://schoolstoendpoverty.org/home/our_story) through the Spring Valley Rotary where she and her fellow Rotarians go to Vietnam to help those who are need of schools and aid. This year, Marta also was in the process of donating a kidney to an EMS worker from 9/11. Even though another donor came through, it is so typical of Marta to give of herself in any way she can. Thank you, Marta Rodriguez, for being part of the Penguin Plunge.